Our first patient of the weekend was a stunning male Northern Harrier. Harriers are one of our most beautiful hawks and have distinct color differences between the sexes. The male, like our patient in the photos, is light gray with white toned underbelly and bright yellow eyes. 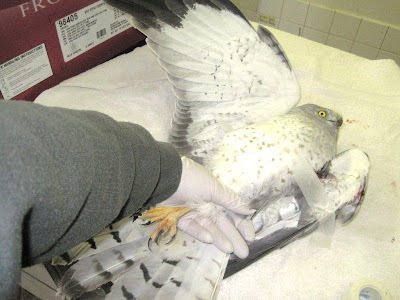 The female Harrier is larger than the male by 1/3 or more. Her plumage is mottled brown. 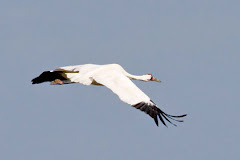 Both genders have a white rump patch that can be seen clearly seen as they hover over fields hunting mice. Male and female Northern Harriers are so different from each other in color and size, many people mistake them for different species. 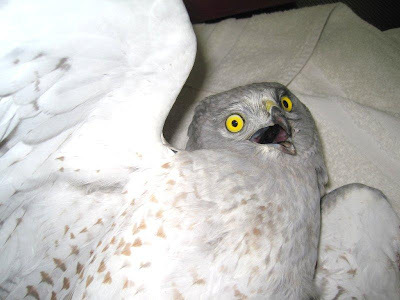 Our Harrier patient has a serious wing injury. it is unlikely he will ever fly again. Harriers are very beneficial to man and especially the farming community. Ironically many Harrier families are killed when run over during haying. Early haying practices have become common in recent years. The beautiful hawks are ground nesters. Their diet consists of mice, voles, rats, snakes, frogs. A facial disk, similar to that of an owl aids this amazing bird in hunting mice. They "hear" mice running in the long grasses as they hover low over fields. I love American Robins. To many of us in the Northern regions of the U.S. robins are the first sign of spring. Older male robins are usually the first to arrive. They have very deep black heads with "pearls" of white on the throat. The chest of the male is deep brick red. Female American Robins are lighter in color throughout their plumage including the head. They are a more muted version of the flashy male. Females are better camouflaged at the nest. 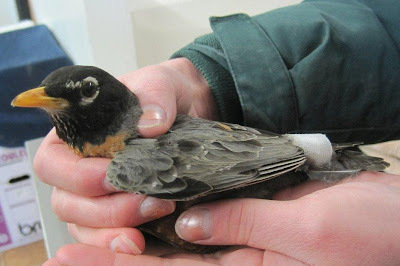 The robin has a wing fracture but is doing well. 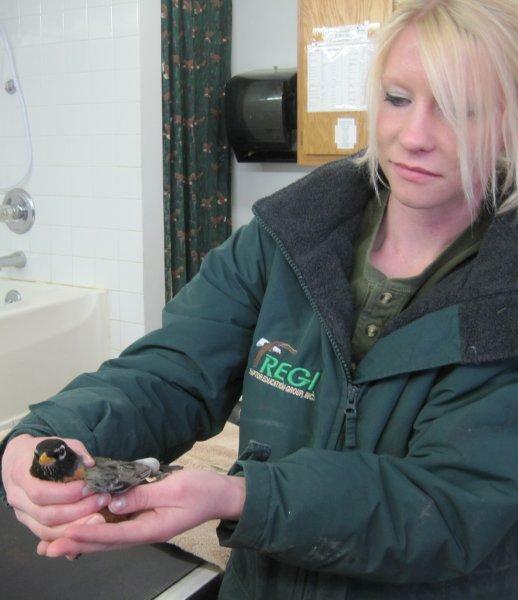 The folks that found him brought him into care at REGI quickly before the wing could set incorrectly. We are hopeful he will make a full recovery and be released in time to raise a family yet this summer. We are working hard on the newsletter and continue to do spring cleaning. Both are time consuming. We are also taking advantage of students that have offered to help us out during their spring break. Please hang in there with us if we are not able to post blogs as frequently the next week. Once you see the newsletter in your mailbox you can expect things to return to a more normal pace. If you would like to receive a newsletter and are not on our list, please contact Molly at 715-623-2563 or MollyM.REGI@gmail.com . We also have an electronic version we would be happy to send out.